[Despite the global craze, India’s burgeoning music scene has always been more about a slow boil as far as hip-hop is concerned, but with the battle for the world's premier 1-on-1 B-Boy World Championship coming to India for this first time ever this year, the conversation is about to change in a big way. Red Bull BC One Cyphers have been held in over 90 locations around the world, and 16 of the country’s best B-Boys will battle it out at the Red Bull BC One India Cypher for the chance to represent India at the Red Bull BC One Asia Pacific Final 2015 in Seoul, South Korea on 17th October. Three members of the Red Bull BC One All Stars crew, namely RoxRite, Taisuke and Hong 10, will be judging the championship. I think you could say that I am somewhat the big sister of the so-called ‘Street’/ ‘Urban’/ ‘Club’ dance culture that’s been thriving for a while now in India. The classification of these styles and its community is so widely debated that I have included several words that have been used to try and categorise these dance styles and their encompassing world. For the uninitiated: they include B-boying, B-girling, House, Hip Hop, Waacking, Vogueing, Locking, Popping, Krump, Dancehall, Flexing, and several lesser known styles. I’ve been dancing since the ‘80s, when I was just a child, only to witness firsthand the dance scene evolving the way it has over the past 8 years or so. The stories are fascinating; the people peers, friends, and some even family, so as both a dancer and a promoter, I thought it would be a great opportunity to introduce some of these people who are constantly working towards expressing themselves through these varied dance forms. Simply for the love that both they and I share for dance. 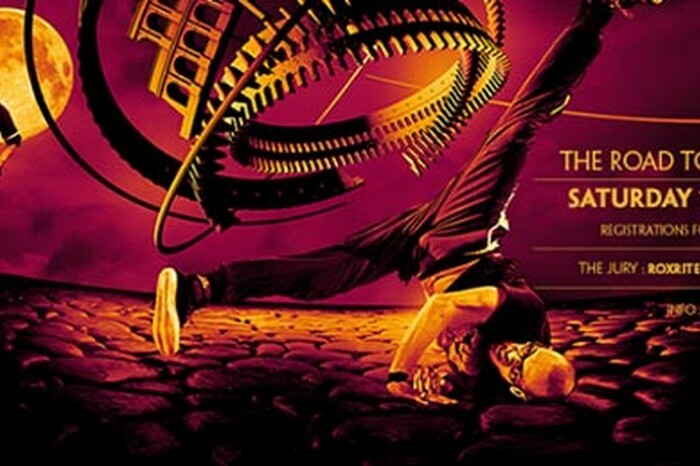 The eve of the hugely well known International B-Boy Championship Red Bull BC One making its way India-side this June is in so many ways indicative of just how much the popularity and skill of Indian dancers has grown since its inception. Their continuous hard work has made ripples throughout the International community resulting in a growing interest in the Indian Dance scene. Considering in some ways India has arrived on the International dance circuit, here are 10 Indian Dance Crews I believe deserve a mention. Some have been around longer than others, some have varying viewpoints and styles however, I can vouch for the fact that all are extremely hardworking and all are extremely talented. I’ll begin at the beginning. It’s hard not to write about this crew with a more personal touch, because I saw it evolve right from its beginnings around July, 2007, to its latest avatar. Officially the first B-boying/B-girling crew created, these guys have consistently been active in the community and strongly responsible for stepping up the professionalism in the scene even as they're constantly innovating. Spearheaded by Gautam ET Jeewan and Vishtasp Kothavala aka Bboy Pogo, they have a well-organized academy with over 25 trained instructors and a long list of credits over the eight years that they have been active. Freak N Stylz will turn eight years old this July 15th, and host a Jam later that month to celebrate their anniversary. Some of the credits to their name happen to include being the two-time winner of India’s Best Crew 2011/12 at Battle of The Year, runners up at the UK B-boy Championship Crew on Crew battle as well as 2nd place for B-girl Musick for BOTY South Asia B-girl Battle Solo. The crew has also been representing India for a couple of years at the Radikal Forze Anniversary Jam in Singapore, Judgement Day Jam Malaysia and in Taiwan and Thailand. FNS’s 3 unique clothing lines namely Flava Closet, Ozo and Mighty Soul, coupled with social initiatives, jams, events and well-organized workshops, have established these guys as a veritable force, constantly working towards their goals and the community. Formed in 2009, six of Roc Fresh’s founding members were originally a part of Freak N Stylz.The B-Boying crew has been steadily spreading and educating the art form they love with an ease and originality that I think one can indeed call ‘fresh.’ When you see them, it’s easy to recognize that these guys love the dance and they have a fantastic camaraderie too. 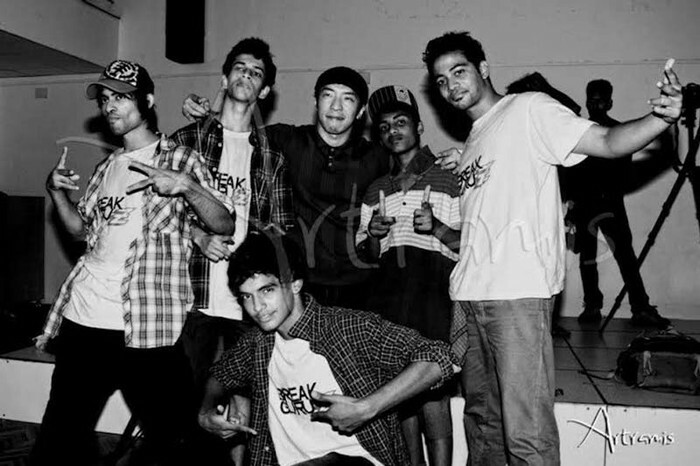 Organizers of the Jam 'Cypherholics' since 2010 (which is now held in over 5 cities in India including Mumbai, Delhi, Kolkata And Shillong) Roc Fresh also has a lot of titles under their belt from from Indian B-boy Championship 2011, Crew-on-Crew winners, to The Culture – Crew Championships (2012), Adidas Originals Collision 3 on 3 Championship (2013), Monster battle (2014), 7 to smoke footwork celestial cypher (2014), Circle masters (2014), Mumbai Chelles Battle Pro 2015 and Crew Championship Thane festival 2015. 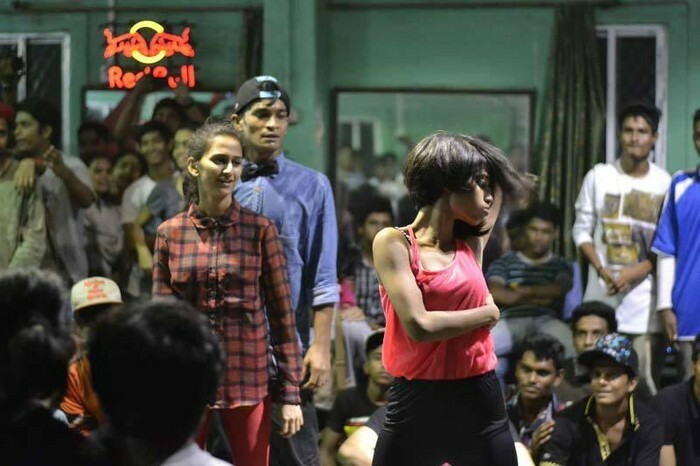 Just an additional, interesting fact – the first ever B-girl in India (B-Girl amby) is a part of Roc Fresh while Karan Gaonkar aka Bunny who is also a well known B-boy and mentor to many, is a key figure in the crew. To stray away a little from the B-boy crews, here is a relatively new crew on the scene that, in my opinion, has an explosive and exciting energy. A mixed style crew with 13 members whose acronym stands for Family of United Swaggers and that they are. Headed by Abhishek Das, who maintains his inspiration and mentors include dancer/teacher Prosenjit Kundu (a key figure in the birth of street styles in India and B-boy Bunny whom I've already introduced earlier) FAM.O.U.S crew has an extensive list of dance styles to its name – Hip hop, B-boying, House, Popping, Waving, Tutting, Locking, Waacking, Reggae/Dancehall, Krump, Flexing, Electro etc. Apart from participating and travelling to underground battles and teaching workshops all over India, they are now making a mark in the commercial world by reaching the semi-finals of India's Got Talent Season 6, representing most of the street/club styles coupled with Indian Music. These guys have literally been making waves since their inception. 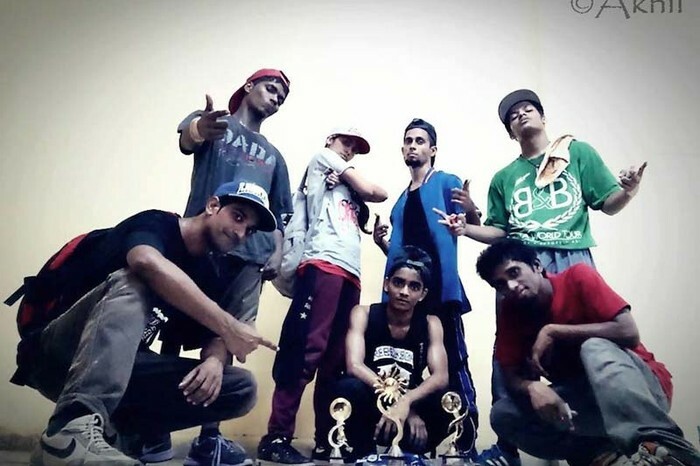 Just a year ago, one of their female members Tee-J won the freestyle battle at the [email protected] India in Chennai to represent India in the [email protected] Taiwan finals and currently another member from the crew, Hectik, will be representing India at an International Krump Battle in Paris. In many ways, F.A.M.O.U.S represents a new direction for Street Dance with dancers moving into several styles outside of B-boying. They are definitely one to watch out for in the future. Mumbai has F.A.M.O.U.S and Kolkata has Crafts of Kammotionn. Playing out like a clichéd Hip-Hop dance movie, these guys are friendly competitors, keeping the healthy competition going. Like F.A.M.O.U.S. , they too have a number of styles under their belt and claim to simply be 'all about dancing, and dancing only'. An all-guy crew with only one female member (Mekhola Bose) they’re fondly referred to as CKN and they just happen to be repping Kolkata all over India, titles as they go along such as emerging the Winner at Salah, the all-style battle event, in Delhi 2014, Winner of Kolkata Hood Hop Solo Popping 2014, Winner of Hip Hop international Solo Zonals 2014, Winner of All girls all-style battle at Freeze,2014 in Bangalore.Winner of 2 on 2 all style battle at Hip Hop Carnival 2014. 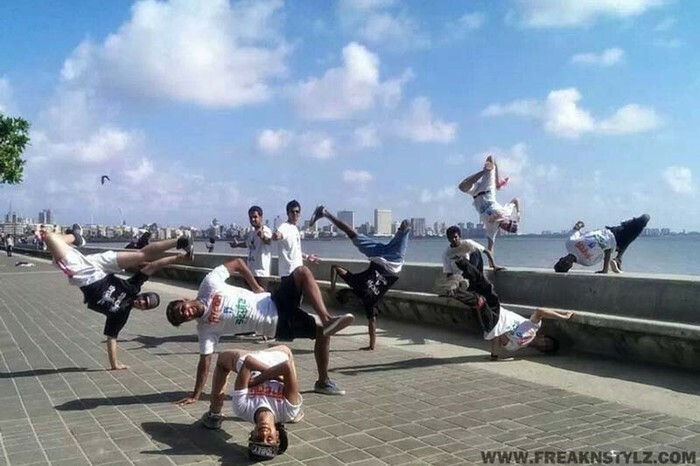 They have a dance academy in Kolkata and are working hard to spread the dance styles in their city too. As such, CKN seems to be one of the many crews that have sprung up in Kolkata that has become a breeding ground for emerging talent. As the name suggests, the cheekily named Waack Pack is indeed from Kolkata. One of the members, Mekhola Bose, is also from the crew CKN and these guys are a Waacking/Vogueing Crew. For the unfamiliar, it is one of the street styles with a strong disco influence which involves (and I say this from experience) incredible arm strength to be able to manoeuvre the various complex arm movements effortlessly. They are unique in that they are solely dedicated to the style along with vogueing, although they do maintain they freestyle in other styles as well. They teach Waacking and battle quite often, a lot of times against the two Waackers from F.A.M.O.U.S crew - Ice and Tee-J. Created in the summer of 2008 - a time when the number of dancers in India was very limited - one of its original members/creators, Jayanta Samaddar a.k.a. Hotshot, is quick to state that they 'aim to be gurus in the art of breaking'. Hotshot, an articulate guy in my experience, says that the unique aspect of this crew is that the members are from different parts of India, namely Chennai, Kolkata and Bhubaneshwar, while one of them is in Poland pursuing graphic designing and representing at events in Europe. For them dancing is an intelligent art form that is beyond just physical ability. They believe before being dancers they are artists, and artistry is not just limited to battles and cyphers only. In his own words, “A fun fact is we are probably the only crew to have an Aeronautical Engineer, a would-be Doctor, a journalist and a would-be Lawyer. An artist who limits himself, limits his true potential. There is inspiration to create art in everything." Participating in a number of battles all over India with several titles to their names, they are known for bringing a fresh flavour and perspective to the scene. 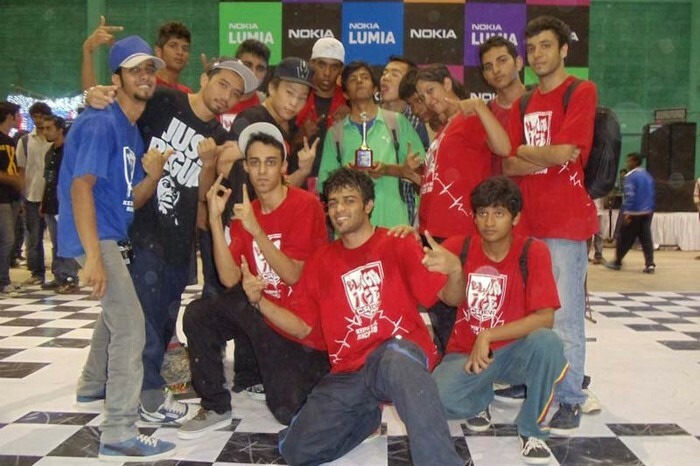 This Bangalore-based crew was created in 2008 by B-boy Naser, Hani, Likith and B-girl Ritu and for a broader view - Black Ice consists of a B-boying crew, a Beatboxer and a Popper. Made up of an impressive 18 members, this crew has been around for a long time representing Bangalore as well as organizing a very popular event called ‘Freeze’, attended by dancers from all over India. The crew will also host a summer jam this year called 'Meltdown'. Naser mentions that some of the members are into other styles as well such as House, Popping, Locking etc. One such member is Shawn, a young B-boy who made it to top 4 at [email protected] in Taiwan, and also is a wildcard entry for Red Bull BC One which is taking place in India for the first time this June. 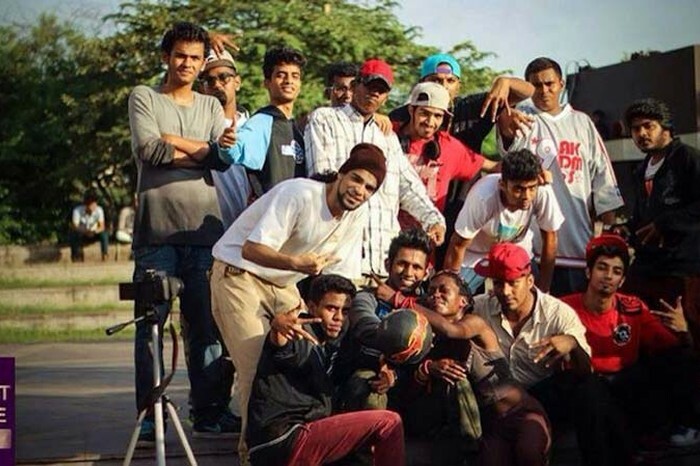 Naser himself, is also a wildcard entry for Red Bull BC One India qualifiers and made it to top 4 in BC One Jordan. From B-boying crews, once again we venture into another side of the dance world. 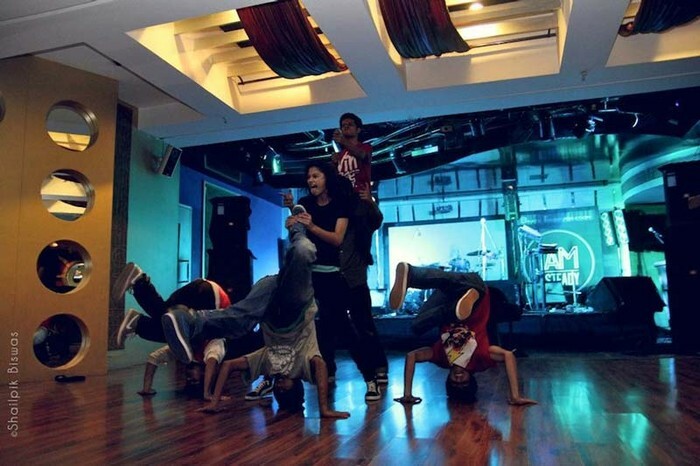 The 13.13 Crew from Mumbai consists of six members and is more involved in the choreography aspect of Street Dance. Winners of the India Hip-Hop Dance Championship last year they travelled all the way to Sin City, Las Vegas to participate in the World Hip Hop Championships, reaching the semi finals, which is only another indicator of the growing talent in India and its growing international presence. They will once again this August represent India at World Hip Hop Dance Championship, 2015, HHI, California which again is an indicator of the global presence of Indian dancers competitively. These guys have a strong work ethic, and their videos and choreography are a visual affirmation of their creativity and drive. Similar in approach to 13.13, FullStop is a crew from Kolkata that is also focused on choreography in their artistic expression. They include styles like Popping, Locking, Krump, Old- school Hip hop and B- boying in their routines and their goal is to represent India in the same World Hip Hop Championships in Vegas. One of their key members, Sambo Mukherjee, was runner up in India’s first ever reality TV show on street dance called Footloose, and now tours nationwide conducting workshops. In their own words, “Every time the crew goes on stage, it’s magical. It’s those few minutes with the stage lights and the crowd that makes us so passionate about our art.” Hopefully, we will be seeing these guys make it to Vegas in the near future. Their latest venture is an anniversary jam called Hip Hop (A)live, which will take place this May. Also crew member Sailesh aka Bboy Sonic won 2 major national battles and made it to top 8 at Korat Battle in Thailand. Currently, the crew also performs and works with commercial brands the likes of Puma; this All Star crew aims to represent India, to motivate and help each other, and inspire the youth - all while being in BEAST MODE! These are just a few crews out of the many that are consistently working towards their individual, artistic goals. For those who I may have not mentioned, I sincerely wish I had more space to include all your triumphs as well. A parting thought is that although many crews and dancers have gained considerable popularity (even commercially in the case of some) what remains fascinating about this world is its ability to exist and thrive regardless of the attention it may or may not receive from the public and media. It’s a coexisting network of passion and hard work recognized mainly by each other, and an addictive way of life for those who jump into its web. You have to earn your stripes and sacrifice time, energy and often commercial success for the few moments of joy that you experience when you are simply dancing. The Red Bull BC One All Stars RoxRite, Hong 10 and Taisuke have handpicked 5 wildcards who will be a part of the Top 16 who will battle it out at the Red Bull BC One National Cypher to be held on 13th June. 7th May: Online Registrations for qualifier open on redbullbcone.com and limited spots are available. 12th June: Qualifier in Mumbai. There will be no registration at the venue, only those who have registered online will be eligible for the qualifier.